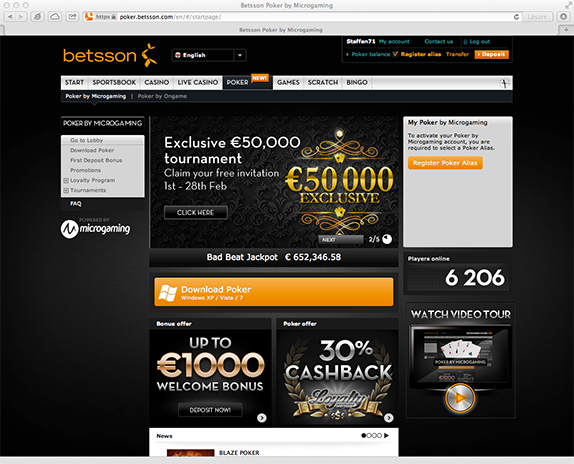 On the Betsson site you can play poker on two different networks, which are supplied by Microgaming and Ongame. On Microgaming you can’t play if you are a mac user which I think is really strange. It is 2013 and more players start using macs every year, so why exclude som potential customers? 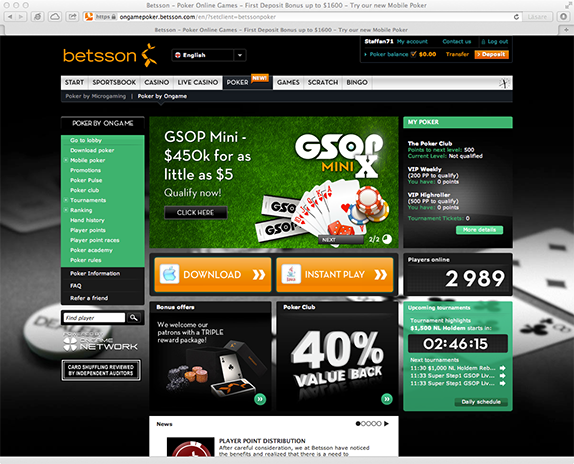 On Ongame I can play using my mac but the strange thing on Betsson.com is that they offer me the Microgaming alternative when I click on the “Poker” tab. Why offer me something I can’t play on? Image 1. The Microgaming alternative.